The Perceptor exhibit with Joseph Freng of Bend. His works span the path of styles. From bold, graphic abstractions to classical realism. Like few others, no formal art education is relied upon. Having studied with artists in their respected fields to attain fundamentals continues tradition. Each piece reveals a committed relationship with art, giving them a personal place in time. By viewing them you share this place. Thru March. Paintings by Central Oregon Community College Professor William Hoppe and selected students under his instruction thru March 29. 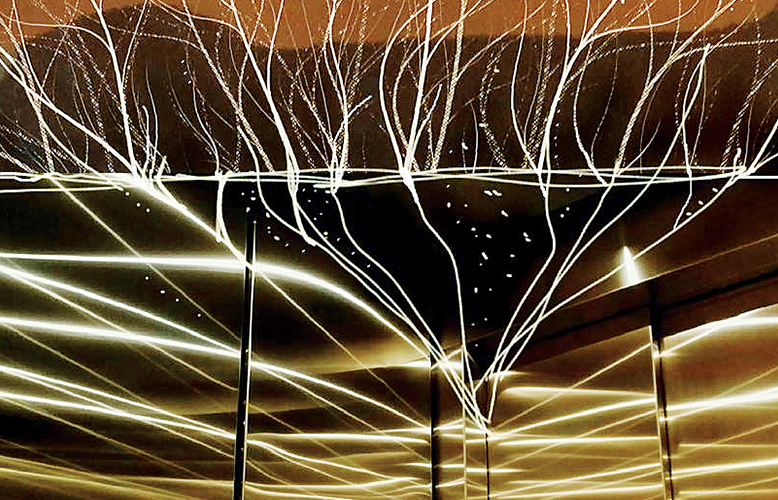 Professor Hoppe exhibits his Wavelengths Series. Works on paper in watercolor and mixed media, the series began as a response to a diagram of the electromagnetic spectrum and grew to incorporate a spatial illusion taken from a work by Paola Uccello (1397-1475). The 19 Wavelengths images form a parade of color events moving through the visible spectrum while suggesting the unseen three dimensional waves of the electromagnetic spectrum. The artist’s impressive career includes a National Endowment for the Arts Individual Fellowship, fifth prize at the international Mussee 2000 Luxembourg exhibition, the Seattle Art Museum Northwest Arts and Crafts Award/Purchase from the Northwest Annual and one person exhibits in Washington, Oregon and New York. Appearing in the exhibit are selected students under his instruction at COCC including Sherrie Arsenault, Joey Bechard, Kathleen Cooper, Marichelle Gurski, Ezrah Johnson, David Allen South, Katherine Stabler, Ann Switzer and Jack Todaro. Artists Lisa Marie Sipe and Maeve Grogan show works exhibited in conjunction with the First Friday opening of the 2015 MUSE Conference. The MUSE weekend celebrates women and girls who light the path of creativity, community and social change; 22 Muse artists will exhibit their works locally. Noi Thai serves wine and Thai appetizers at First Friday with Tom Freedman, bass, Georges Bouhey, drums and Dave Calvert, piano, presenting jazz. Billye Turner, 503-780-2828 or billyeturner@bendnet.com organizes exhibitions for Franklin Crossing. Family First Friday with the theme First Art 4-6pm. Kick off First Friday with a family-friendly activity at the Art Station! Kids and adults can get creative with a self-guided art activity with one of our instructors. Special morning sessions from 10am-12pm are perfect for homeschoolers. Evening sessions from 4-6pm offer art making in one studio, and adult refreshments in the other! Adults, please accompany youth under 18 at all times. A6 opens Beautiful Math, a solo exhibit of original prints by local artist Barbara Hudin. Inspired by some of the greatest mathematical theorems (both solved and unsolved), Hudin’s work will be on display thru March. Hudin will discuss her work in a free Art Talk on Friday, March 13 at 6 pm at A6. Many mathematicians view math as a creative endeavor, akin to writing poetry or composing music. An elegant equation or intricate theorem has its own artistry—a “mathematical beauty.” Hudin takes this notion a step further, creating beautiful images with code. Because Hudin uses computer algorithms to generate visual elements, her work is referred to as “generative art.” Ultimately, Hudin’s hand anchors these ethereal and cerebral images in the realm of fine art. An experienced printmaker and long-time member of A6, Hudin combines multiple processes—such as saline sulfate etching and photo-sensitive polymer—to capture and transform her computer-generated imagery into plates that she can embellish, alter and then ink and print by hand. Central Oregon math, computer science and engineering classes are invited to tour the exhibit as part of A6’s educational outreach program, Students to A6. Teachers should contact Julie Winter at 541-330-8759. 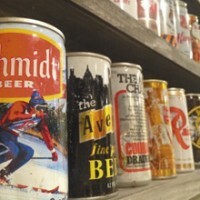 Dawn Patrol: From Trash Collection to Art Collection. For 10 years David White got up at 3am for work. Most days he would already be at work for a couple of hours when the sun came up. As it ascended, he would watch the sky light up in pinks and oranges and the Cascade Mountains glow in the distance. At the age of 53, White has worked for Bend Garbage & Recycling for 15 years. He doesn’t have to get up that early for work anymore, but he still sets out an hour and a half before sunrise with a Nikon V810 to capture the scenes he has long admired. For many years, White has been an avid hiker and backpacker, too. Among his favorite places to hike are the Three Sisters Wilderness, Steens Mountain, the Alvord Desert and Leslie Gulch. He initially got into photography as a way to capture the beauty of the places he explored and show it to folks back home. It was easier than trying to describe how the rocks of Leslie Gulch look like a cathedral or the way the moon glowed in the crook of the Three Sisters. Presented by Brokers Melanie Maitre and Mary Stratton. Come see us this First Friday Art Walk from 5-7 for drinks, appetizers, music and amazing art. Join us as we showcase pieces from the Sagebrushers Art Gallery and Zander Reese as he performs his eclectic mix of grunge/blues/punk/rock original jams reminiscent of Nirvana, Green Day, Reign Wolf, Jack White and a little bit of Alice Cooper thrown in for good measure. Juried exhibit of members of the Young Women’s Artist Group of Bend, titled New Nature, a unique twist on contemporary art and nature. Features work in painting, woodcarving, photography and mixed media digital art from 11 members of the group including Lisa Marie Sipe, Maria Fernanda Bay, MaryLea Harris, Lea Croft, Taylor Rose, Alicia Severson, Alisha Vernon, Chloe Raymond, Marisabel Jolie, Jenni Kowal and Carolyn Stokes. Thru June 2015. Lisa Marie Sipe, lisa.sipe@gmail.com, 480-326-2109. Tucked between Thump Coffee and Alleda Real Estate, Karen Bandy is Central Oregon’s only national/international award-winning jewelry designer, specializing in custom design in downtown Bend since 1987. Her designs are bold, fun and always very wearable. Bandy is also an abstract acrylic painter whose work is described as colorful and textural contemporary fine art. When there is an actual subject, horses and wild animals are often depicted. Open Tues., Wed., Thurs., 11:30am-5pm and by appointment, and First Fridays 5-9pm. 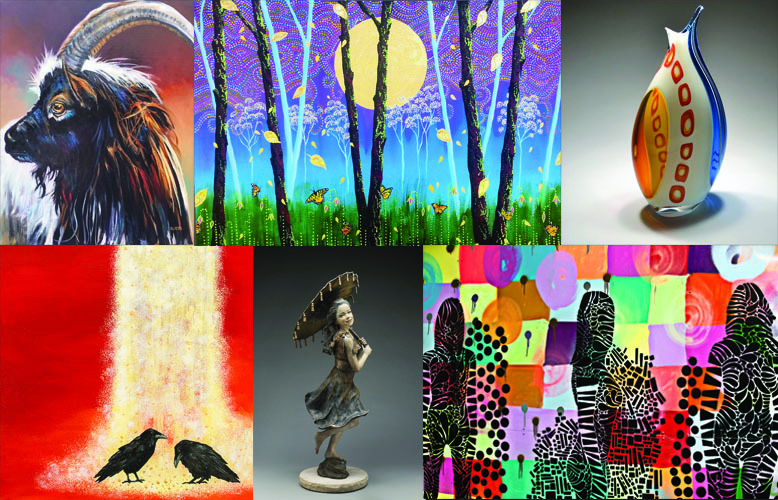 Spirit Connections, a show featuring painted wood carvings and bronze sculptures by New Mexico artist Hib Sabin. John Traynor, a painter from New Hampshire, will be present for the evening. Mockingbird is excited to be adding John to our roster of artists, and he will be making his first trip to Bend. His work is described as impressionistic and reminiscent of the Dutch Masters. Come by to meet John, sip a glass of wine and listen to the sounds of Rich Hurdle and Friends. Sabin, a practicing artist since 1957, is inspired by his interest in Shamanism and the search for a spiritual connection between man and nature. He is inspired by shamanic practices from tribal cultures. Hib has traveled across the world studying traditions, including Inuit sculptures, Mexican folk art and the mythological cultures of Native Americans. His painted wood carvings and the bronzes derived from them are distinct and original, and his contemporary approach inspires a conversation between the artist and the collector. He creates masks, spirit sticks, amulets, spirit bowls and boats, often incorporating the symbolism of bears, wolves, ravens and owls. Artists representing the MUSE Conference – Lloyd McMullen, Carol Sternkopf and Brittaney Toles – continuing thru March 29. The 2015 MUSE Conference celebrates women and girls who light the path of creativity, community and social change. MUSE joins First Friday Art Walk with 22 local artists who share their inspiration through a series of portraits ranging from local heroines to famous muses such as Frieda Kahlo and Tina Fey. Maps of Muse artists’ work will be available at participating locations. McMullen is a scavenger of broken glass, rusting metal and snatches of overheard conversation. All find their way into two- and three-dimensional mixed media paintings and found object sculptures. McMullen is a painter, printmaker, knitter, crafter, a builder of nests, a gardener, a daydreamer and a carver of wood, snow and ice. Inspired by her fiercely positive attitude she shows a portrait of comedian Tina Fey. Sternkopf is an ‘observer-centric’ photographer whose work has shown in galleries nationally and appeared in numerous publications including Central Oregon and Wisconsin magazines. Holding a BFA with honors from Milwaukee Institute of Art and Design, she currently works as an editorial assignment and portrait photographer in addition to creating her fine art images. Finding inspiration nearby, the artist chose to photograph her daughter Ana. Toles, a Nebraska native, paints figurative and abstract art, often combining the two. She is also an art educator, serving as art director for the Boys and Girls Club of Central Oregon, where she designed and directed creation of a 40’ mural, to inspire and creatively motivate the children. She exhibits a portrait of Françoise Nielly, a French oil and palette knife painter, noted for vibrant, close-up portraits of people. Spotlighting artist, Julee Hutchison who is a plein air painter whose work reflect her unwavering partnership with nature and her mastery of capturing the richness, colors and essence of our majestic outdoors. Featured Quilter Bevalee Runner of Sunriver. A theme exhibit will be Food & Drink. The exhibit will be up thru April 1. Artists Sue Gomen-Honnell, Annie Dyer and Joren Traveler are featured in Expressions of Nature. For Gomen-Honnell creating art is an exciting adventure and her paintings convey her appreciation for all living things. Her watercolors have loose luminous backgrounds that are accomplished through multiple layers. Dyer’s pottery is concerned with the shapes and textures of region. She creates thrown or hand built pieces which are then sculpted, scored, stretched, angled, flattened, fractured, bisque-fired and glazed. Her pieces emerge after each part of the process, rich in texture and color more reminiscent of the intriguing bit of bark, the perforated rock, the oddly twisted piece of wood or the swirl and knot of burl. In making her sculptures, Traveler first chooses a subject that appeals to her to make several sketches and a maquette to decide the pose and attitude of the animal. This helps her decide which medium would be best – ceramic or bronze. Once she begins the work, there is a point in which the creature becomes alive to her and it is this feeling of spirit she will try to express in each piece. Thru March Fur and Feathers devoted to animals and birds with a variety of local artists participating in the medium of their choice. Artist Reception for Alicia Severson Friday March 6th 5-8pm. Alicia Severson creates beautiful, life like illustrations of food! From eggplants, spaghetti, cherries and peppers. We are excited to have her work gracing our walls for the entire month of March, which also happens to be National Nutrition Month. Industrial-edged glass cubicles house an eclectic blend of fine jewelry, dramatic quartz geodes and museum-caliber fossil specimens, all enclosed and stacked like icy walls. Thru March SageBrushers’ artists Dianne Esther Norwood (pastel and acrylics), Kay Larkin (photographer) and Linda Swindle (watercolor). 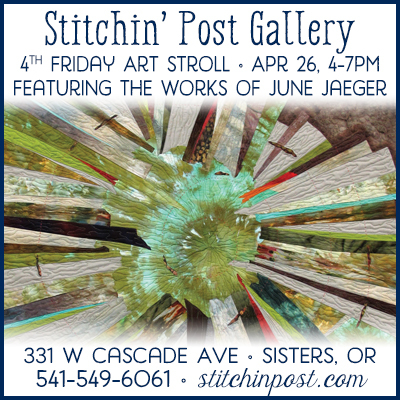 First Friday opening 5-11pm. Collage artist Kaycee Anseth exhibits at Townshend’s Bend Teahouse. Anseth’s artwork underlines stories and fairytales that exist in an unwritten realm. Pondering the concept of the Kingdom of the Animals Anseth has undertaken tales of the realm as a point of departure for her exhibition entitled Loan Me Your Crown. Anseth assembles a constellation linking the animals physicality, its symbology, and she introduces a heightened sense of nobility in her animal kingdom designing sacred collaged beings wearing crowns or halos. Are they stand-ins for human characters? Are they residents of some wonder-hinterland? Are they guardians and totems? Yes, and yes and yes. Award-winning glass artist Nancy Becker is the featured artist at Tumalo Art Co. As a maker of glass, Nancy’s intention is to let go of the medium in the sense of making objects and instead use it as a way to express with color in a painterly fashion. “The works in this show are my portraits of winds I have met in my short stay in the South. The winds are truly a force of elemental energy that is profound and mercurial in nature.” The vortexes that appear in her work convey the personality and movement of the tornadoes.